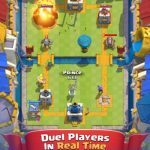 Supercell’s super-popular new game Clash Royale does more than just introduce the Royales to Clash of Clans gamers. It also changes the entire mechanic around, shifting from MMO city-building to MMO card battles, or MOBA card battles. That means you’ll be collecting cards and decks and playing them against those of other human players, as a quick reminder of what this game is about. 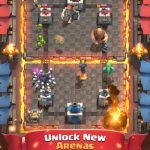 It’s a totally new way to enjoy the characters and other elements made popular by Clash of Clans, and gamers seem to be eagerly eating up this relatively new game following its release earlier this year. As we explained in one of our previous Clash Royale guides, the game is quite generous in giving core cards to players, and it’s possible to have quite a strong deck early on in the game. But you can also open chests and farm for new cards, adding to your collection and making your deck more powerful. 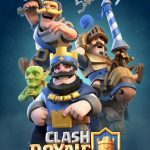 So without further ado, let’s take you to our latest in a series of Clash Royale strategy guides, this time helping you find more chests and helping you do so faster than you normally would. The first thing to remember when it comes to chests in Clash Royale is that there are different types of chests. Some of these chests are better, and come with more attractive rewards. But there’s a method to opening these chests that you can put into practice. Simply put, it’s all about opening those better-quality chests when you won’t be playing the game for several hours, like when you’re about to go to bed. Remember that these chests take longer to open than the common ones. And while you’re awake, you can turn on the notifications on your device so you can be notified every three hours or so, allowing you to open as many silver (common) chests as possible. In most cases, you want to play to win. But there are other situations where it may make more sense for you to eat the loss. That would be in order for the matchmaking system to set you up against weaker opponents, as opposed to those who are closer to your level of experience and skill. By beating weaker opponents and doing so faster, you can rack up more wins, and consequently get to open more chests. You may even end up unlocking new cards for a lower-level arena you don’t have yet. Crown chests can be unlocked every 24 hours, and all you have to do is to collect ten crowns. These chests can offer you a plethora of cards, so work on accumulating those crowns every day so you can unlock more crown chests. It’s a classic example of getting a lot of rewards for comparatively little work. You can buy chests with your gems, but what good would it do if you don’t have too many chest slots unlocked? Keep in mind that chests in chest slots are less expensive to unlock than those that are purchased in the in-app store, and often come with some nice cards inside of them. So if you really should spend your gems on anything chest-related, spend them on slots, and not on the chests themselves. 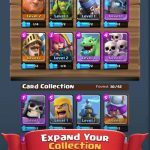 Clash Royale Tricks & Tips: How Should You Spend Your Gems?